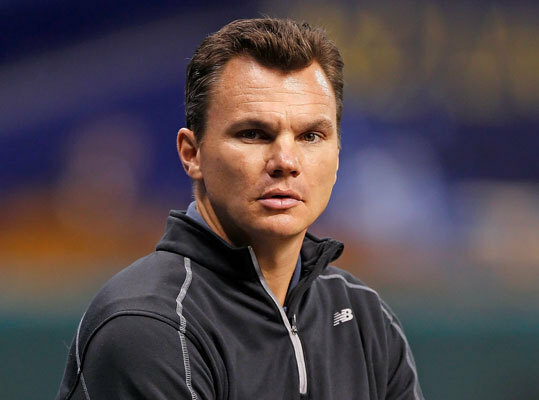 The MLB trade deadline is one week away, and Red Sox Nation continues to speculate as to whether GM Ben Cherington (left) will be buying or selling players while the team finds itself in an uphill battle for a postseason spot. If past history is any indication, the Red Sox should make a move one way or another. From moving Nomar and Manny out of town to bringing in Victor Martinez and John Olerud, here's a look back at the major in-season trades and acquisitions the Red Sox have made since John Henry, Tom Werner, and Larry Lucchino's first season in control of the team in 2003.